The First World War affected our area fundamentally, tearing families apart and forcing change as it did all over the world. In June we staged a performance day during the E17 Art Trail, telling just a few of the stories of individuals we have rediscovered. Children had talked to relatives about what they had been told as children, brought in family photographs and undertaken research. 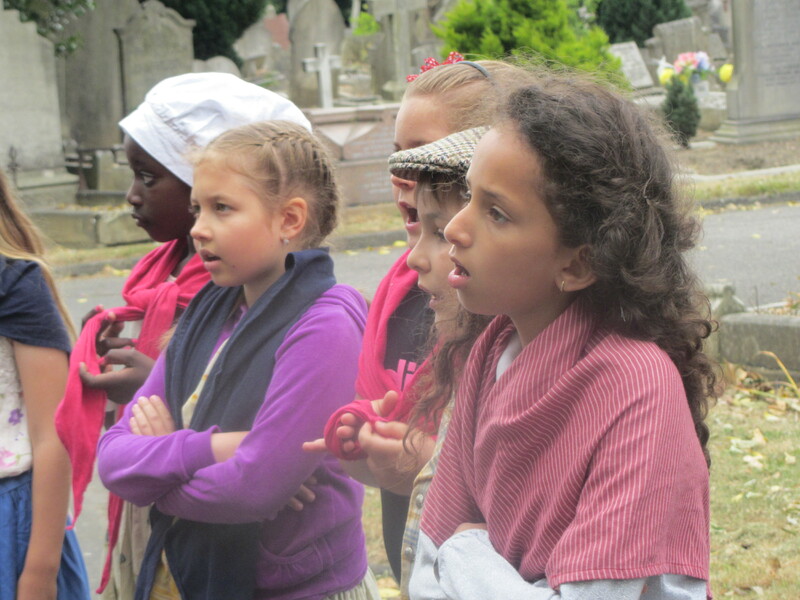 We also used existing interviews with, and diaries of, Walthamstow people who had lived through the Great War, and researched stories of those with memorials in Queen’s Road Cemetery. 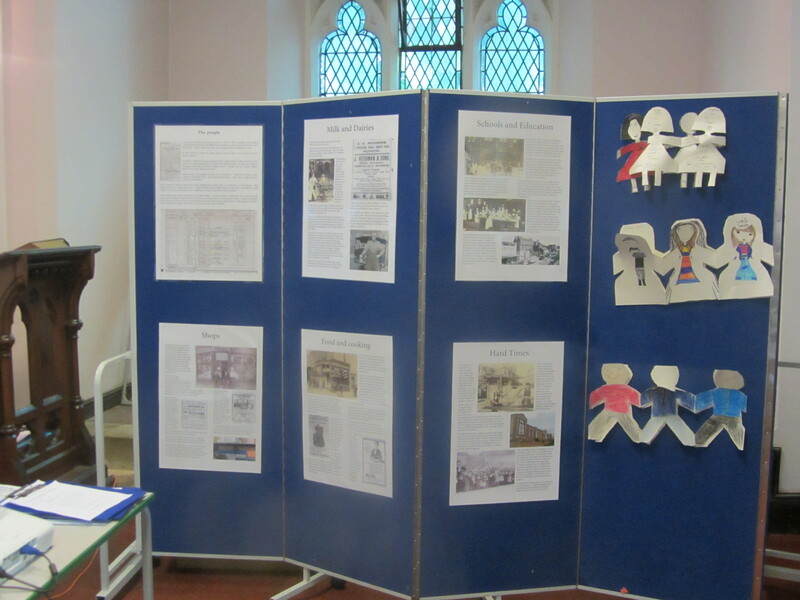 As well as an installation in the chapels we staged a musical play we had devised together, recalling the experiences of local people in 1915 as well as some of our own families. The children of 1915 had to grow up quickly. The school leaving age was still only twelve, and even before that many youngsters had part-time jobs. With tens of thousands of men away fighting, some jobs became available to women for the first time, although the war itself was causing much unemployment – and it was becoming clear that the war was not going to end any time soon. In recalling the children of a century ago we were imagining complicated, often hard and sometimes hungry lives. We also learned a number of the popular songs of the day, adding new words to one of them. 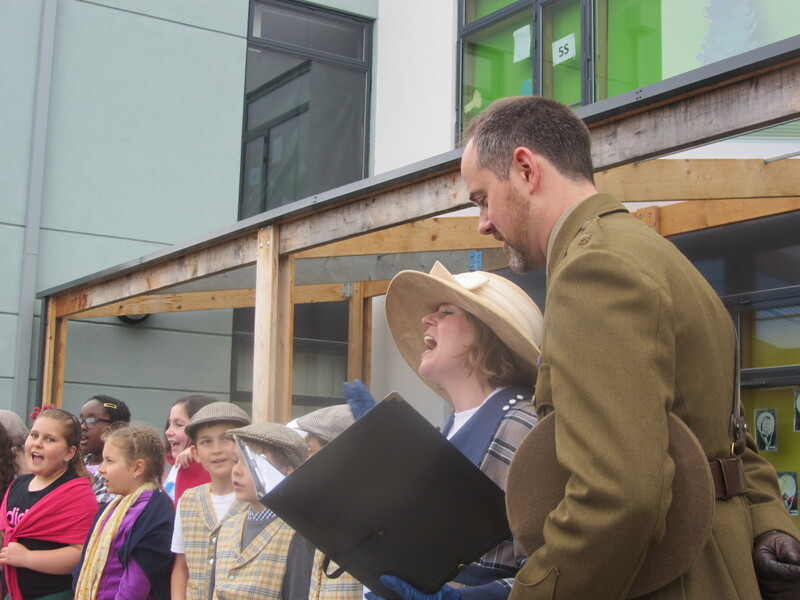 This was the day of the Edinburgh Primary School Summer Fair, and our performers sang for the guests, becoming both First World War recruiters and publicists for our drama. There were two well-attended performances, in addition to which children led tours of the exhibition, of the flower beds they had planted and of the memorials of some of the people whose stories they knew.